An introduction to the different pets you can own on WoMF. This week: HEDGEHOGS! We have all seen the many cute walls posts of owners bragging about their pets and it is impossible to not be charmed. Perhaps you own one or several yourself, and hopefully you have remembered to feed them! In this blog, we'll be discussing the most popular pets in World of Mystic Falls and why you should buy one! This week: HEDGEHOGS! Description: The cutest of cutest. Absolutely nothing will top this cuteness. A shy but adorable pet, secretly loves floating around in your sink. Take good care of it! Hedgehogs are small and do not take up much space. Hedgehogs are generally quiet so you do not have to worry about being woken up in the middle of the night. They do however move around a bit so make sure to not place any loud toys or items close by. 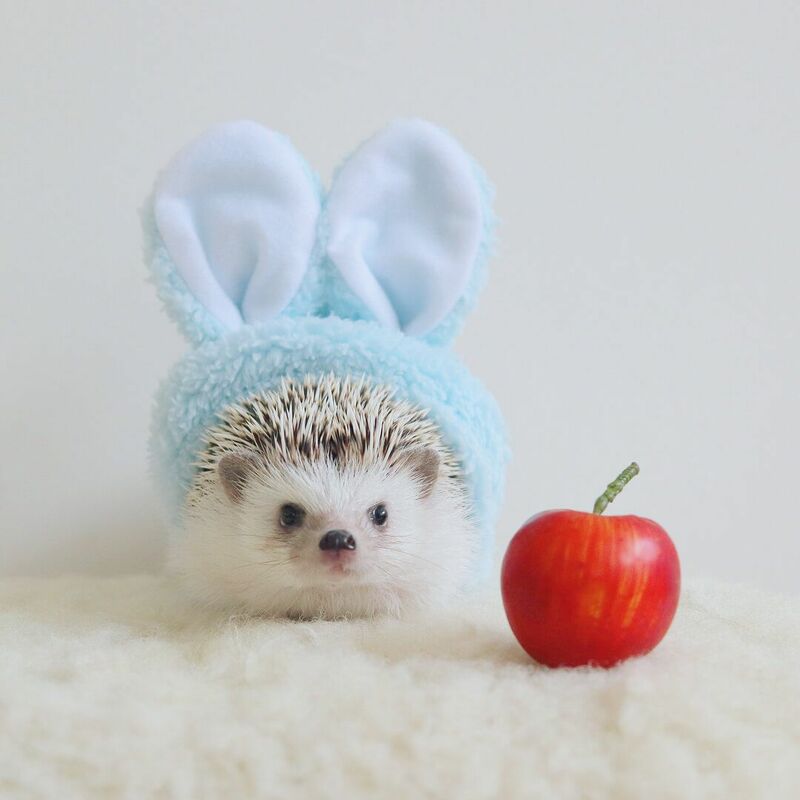 Hedgehogs eat very little and are mainly low maintenance. You do need to give them food and water every day and a new bedding every week. Hedgehogs do not smell bad and they only need a shower 1-2 times a month. Hedgehogs like to be alone and are pretty self-sufficient. You can be gone all day and also not play with them for a week and they will not mind. Unlike other pets, they also do not mind being my themselves is there is no need to buy two so that they are not lonely. In many ways, they are like cats since they are pretty carefree and do whatever they like. 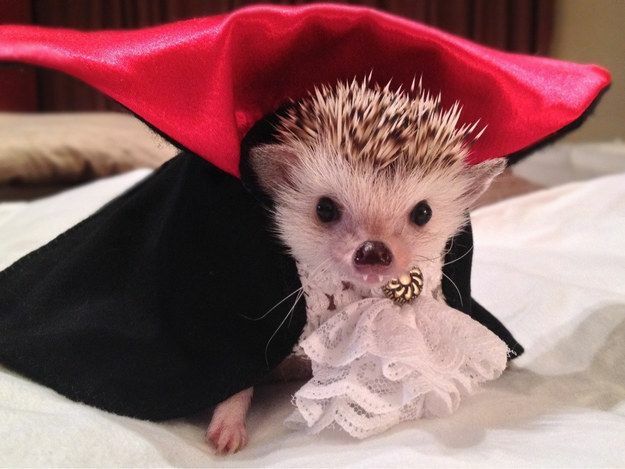 Hedgehogs are exotic and they are not a conventional pet. Many are fascinated with them, but few actually own a hedgehog of their own. The most important reason, of course, they are CUTE! And let’s face it, very entertaining when you see them float around in the sink or get themselves stuck in toilet paper rolls. Hedgehogs are not the most affectionate pet, so if you like licks and kisses you might need to consider getting a different pet. Hedgehogs can also be quite huffy when woken up, especially during the day since they are nocturnal. Put a t-shirt or another item you often wear into their cage so that they can snuggle into it and get used to your scent. Use worms to get the hedgehogs to come to you. Wave it in front of their face so that they smell it and will want to come out of their hiding spot. Slowly pet the hedgehog while it eats because then it will be less bad and most likely won’t roll up. 3. Hedgehogs need a stable environment when it comes to temperature. 74-80 Fahrenheit or 23-26 degrees Celcius is the perfect temperature and if it is lower the hedgehog might go into false hibernation or even die if it is too cold/too warm. You need to trim their nails every couple weeks. Not all hedgies are a fan of manicures. Hedgehogs can poop a lot and sometimes it gets stuck in their feet. Hedgehogs are prickly and their quills can break your skin if you are not careful handling them. Stray quills may also end up o the floor where you can step on them. It is harder to find a vet for them than other animals because it is not so common to own one. 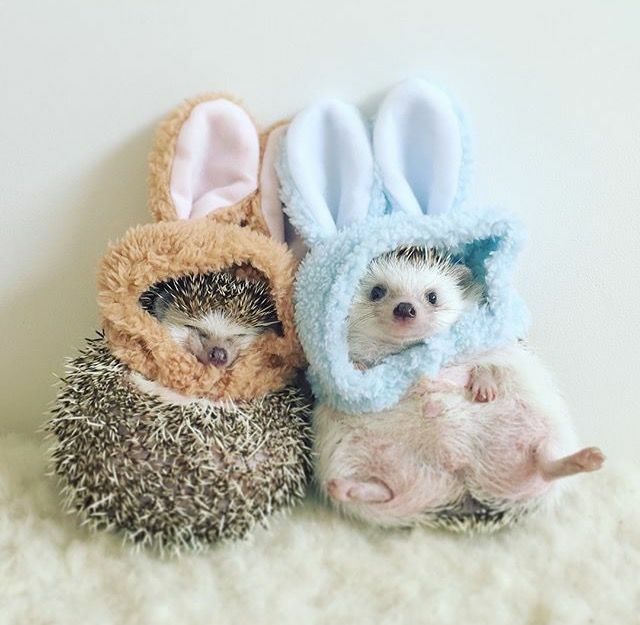 "Hedgehogs are the perfect fashion accessory that you can dress up and own. They are also portable so you can bring your little friend with you everywhere you go!" What are you waiting for! Go get your own cute little prickly friend and tell us what you name them in the comments! Eleanore Darkbloom An adorable pet you can bring everywhere? Just take my money! Amazing blog! Nicolas Angelo SQueeee! Making my way downtown! 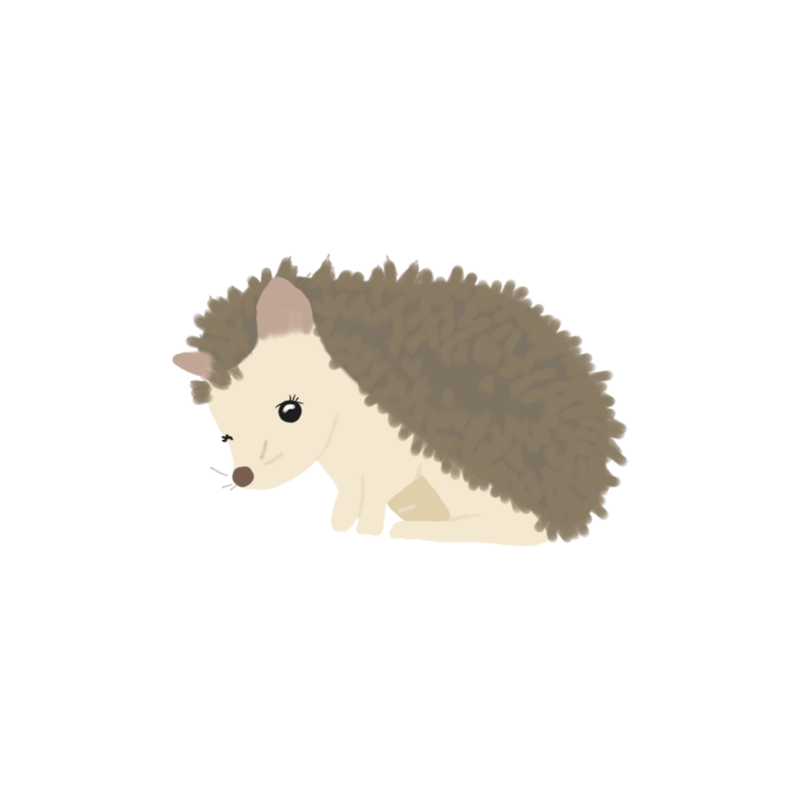 Isla Westwood Aaaaah this is so cute omg, I love all the hedgehog gifs and pictures!